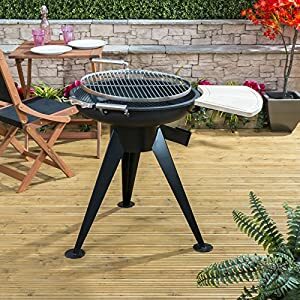 We are presently offering the acclaimed Garden Patio Fire Mountain Antigua Charcoal Fire Pit Bbq With Side Shelf for a great price. 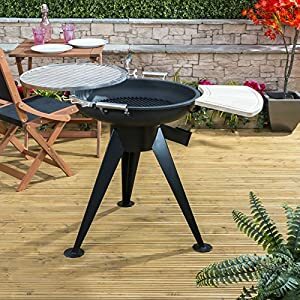 Don't pass it by - purchase the Garden Patio Fire Mountain Antigua Charcoal Fire Pit Bbq With Side Shelf online now! 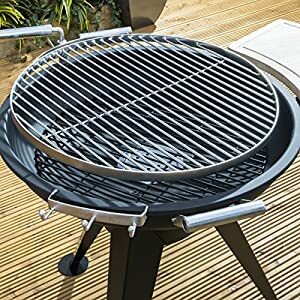 The Antigua Charcoal Barbecue features a stylish modern design that makes it a great focal point in any garden or patio. 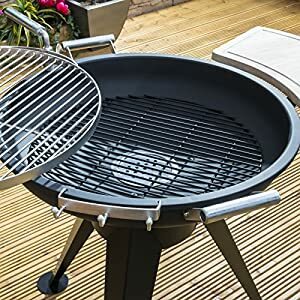 The black painted frame has angular tripod legs and silver steel handles and grill for a contemporary monochrome look. 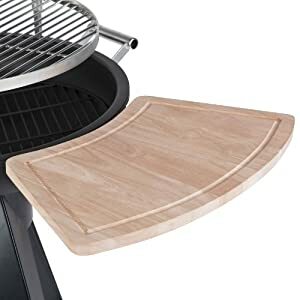 On one side is an angled wooden shelf that is perfect for keeping plates and condiments on, or for using for preparation during cooking. 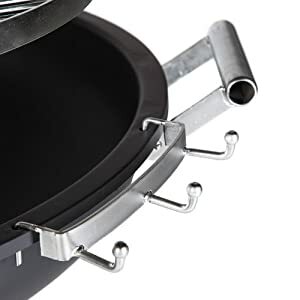 Next to one of the handles is a set of steel hooks for hanging utensils or accessories on, providing an ideal place to keep tongs or protective gloves during cooking. 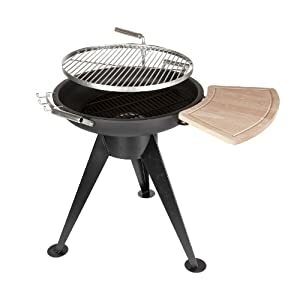 The three-legged tripod design with wide feet to the bottom gives the Antigua barbecue strength and stability. 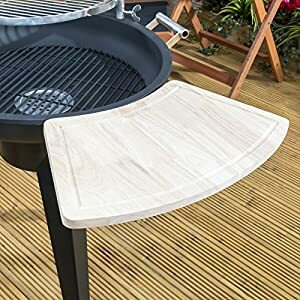 In the centre of these legs is a drawer-like compartment that can be removed after the barbecue has cooled - it will contain ash collected through the grate in the bowl of the barbecue, and makes cleaning up quick and easy.